Photo from Twitter user Pete Souza. 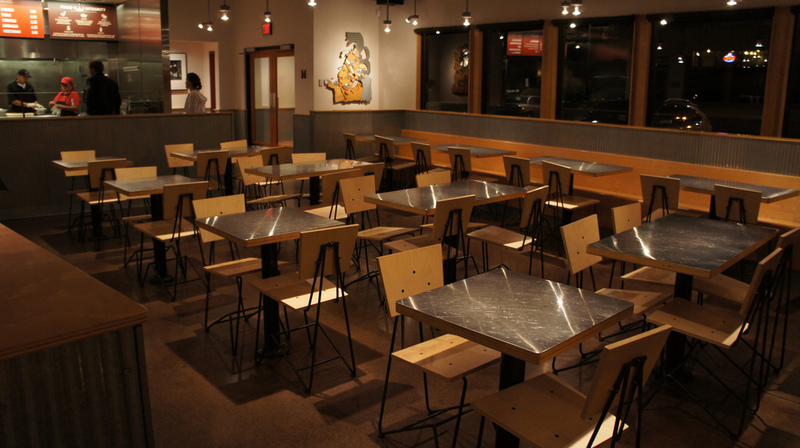 Chipotle etiquette is a real thing. A reader of a certain Business Insider article and someone who probably spends too much time on the Internet, this person can be seen asking for extra extra rice, both black and pinto beans, half and half meat orders (because apparently .5 + .5 = 1.5), all of the toppings, extra tortillas, and dropping trendy lingo like “quesaritto” or “burritodilla.” Sometimes, they order from an alleged secret menu, and may even take it into their own liberty to instruct the servers how to make their monster creations. May or may not be accompanied by fake smiles from employees. How to spot them: When 3 employees are called over to try and wrap one burrito. One. Colossal. Burrito. These ones deny the fact that Chipotle and diets are virtually antonyms, despite the 700+ calorie warning plastered across the menu. They disregard that most people who get Chipotle are perfectly aware that fast food is unhealthy. They are the reason why salad is an option at Chipotle. They also most likely have too much money to spend, because anyone knows that unless you have carbs or protein in your order, you will be hungry again as soon as you pee. And they unconsciously make you feel guilty for getting all the awesomeness stuffed into a very caloric burrito or bowl. How to spot them: These ones tend to go rogue and buy the less popular items on the menu (read: not a burrito or bowl). Like veggie fajita salads, with no guac or cheese or any wholesome toppings. Rebels. These people come in various categories: sometimes it’ll be the person who asks for everything “on the side,” the person who says, “SURPRISE! I’m making a group order for 5000000000000 people” to everyone’s heartbreak, or the person who decides that they actually need to consume 3 very different burritos in one sitting. (God bless his soul.) Regardless, you will know them when you see them, since they not only hold up the line, but plug it. As in, the very hint of their presence makes the line stop moving altogether. How to spot them: Follow the glares of everyone standing in line. They usually point to the culprit. Aneurysms from employees may also be another indicator. 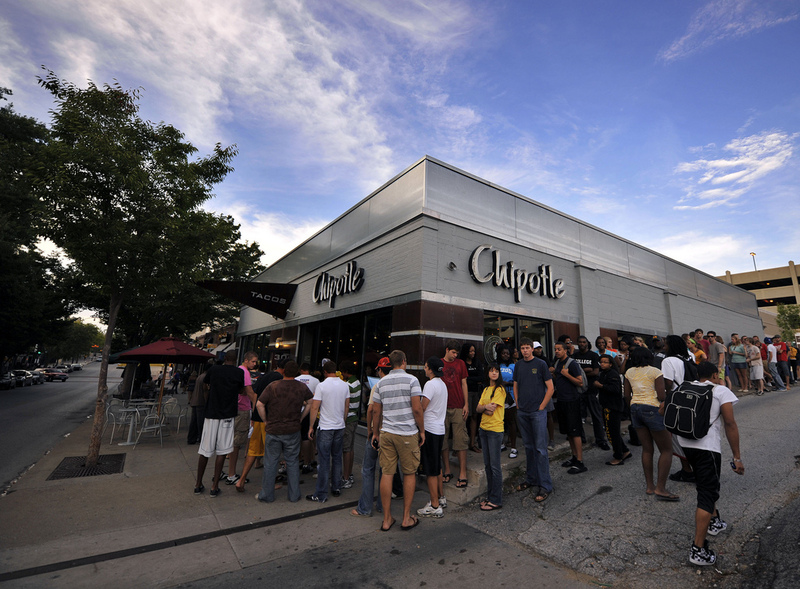 If you really don’t want to wait in line for Chipotle, you can get it delivered straight to you using Envoy or pick up at the store ordering online or through the Chipotle App (both for iPhone and Android). The dream. Photo by Flickr user Aranami.